Sporting good stores are featured on SportingGoodStores.us. This website discusses the importance of specialized sporting equipment for the variety of sports and activities people participate in. Links to general sporting goods stores are included, as well as links to sporting goods equipment information, organized by sport. We use third-party advertising companies to serve ads when you visit this website. These third parties may be placing and reading cookies on your web browser, or using web beacons to collect information, in the course of ads being served on this website. Web browser privacy settings are typically used to manage cookies. Please refer to your browser documentation for browser-specific cookie management information. These companies may also use information about your visits to this website and other websites in order to provide advertisements about goods and services that may interest you. For more information about this practice and about your choices for managing the use of this information by these companies, click here. All information on SportingGoodsStores.us is provided "as is." 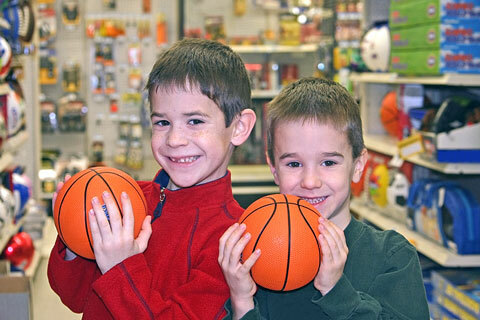 This website contains reference information and supplier links for sporting goods retailers. By using this website, you agree that Zeducorp is not responsible for errors or omissions, and shall have no liability for damages of any kind, including special, indirect, or consequential damages, arising out of or resulting from any information, product, or service made available hereunder or the use or modification thereof. Thank you for visiting the SportingGoodsStores.us website. We trust you have found our website useful and informative, and we invite you to place a link to SportingGoodsStores.us on your website. Simply copy the following HTML link and paste it on one of your web pages to reference this sporting goods store guide. We appreciate your consideration. SportingGoodsStores.us, a division of Zeducorp.